Process up to 4,000 pieces per hour or 62,500 pieces per month. Colour, user interface offers enhanced ease-of use. Small footprint, basic system fits on a standard 60″ inch table. 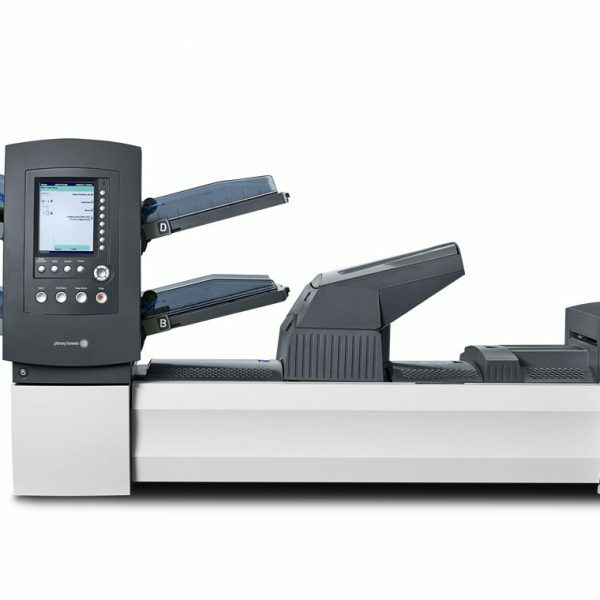 The Relay 5000 Inserting System offers the flexibility and speed for a mid-volume mailer at speeds up to 25 times faster than by hand.You can also avoid the tedious process of manual folding and inserting plus improve your productivity by using the cost-effective Relay 53000 for bills, statements, direct mail, reply envelopes and much more. 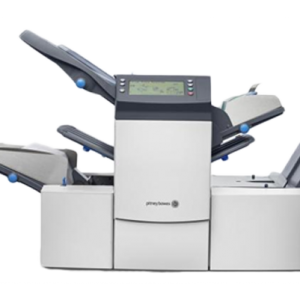 Easy Set-Up, Setting up a job is simple, just enter the length of the sheet, the envelope type, identify the type of fold and push a button. Up to 20 jobs can be preset and saved in memory by the operator for error free job change-overs. 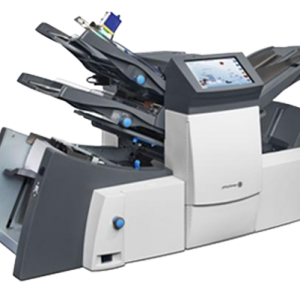 Enables dynamic feed technology for mail piece integrity and flexibility. Each feeder is capable of feeding single or multiple sheets. The pages from one or both feeders are then gathered and folded together. Adds a pre-folded piece or booklet (e.g. a coupon, reply envelope or prefolded flyer). Ideal for direct mail applications or to add promotional items to your regular mailings. The completed piece is inserted into an envelope and the flap is sealed. Delivers outer envelope for inserted material. Ramp up your local area marketing with the Relay 5000 fold only functionality. Envelope sealing function can be conveniently turned on or off. A typical Relay 5000 application: two A4 sheets, an invoice and price list, are gathered and folded together. DL sized flyer is nested inside the folded document. The completed piece is inserted into a DLX envelope and the flap is sealed. and your customers, and it’s a key element in winning new business. All your critical communications flow through the mail – outbound invoices, incoming payments, promotional mailings that generate orders, as well as payroll and vital employee communications. 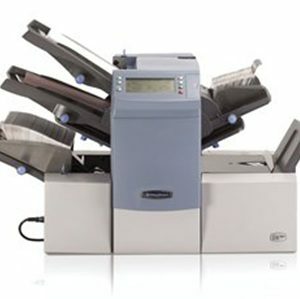 Many small and medium-sized businesses find dealing with their regular mailings time consuming and inconvenient. If you’re like many offices, you’re probably folding and inserting by hand – not a good use of your staff resources. 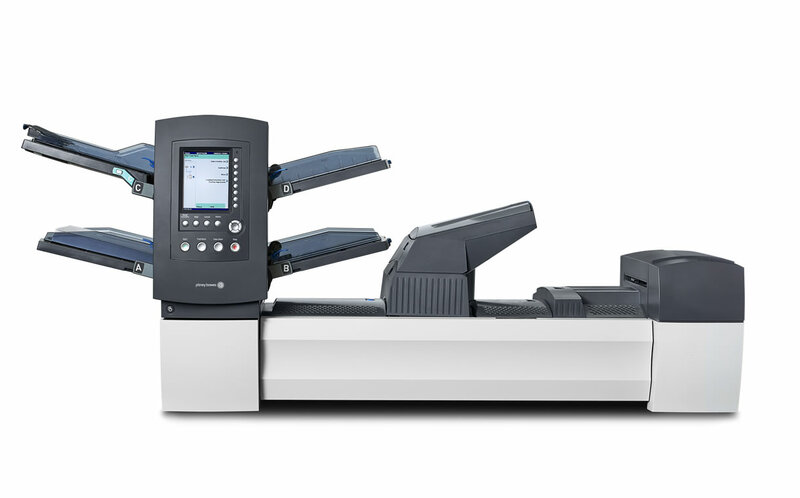 We have developed an office automation solution that is affordable, reliable and specifically designed for ease of use – the Relay 5000 Inserting System.